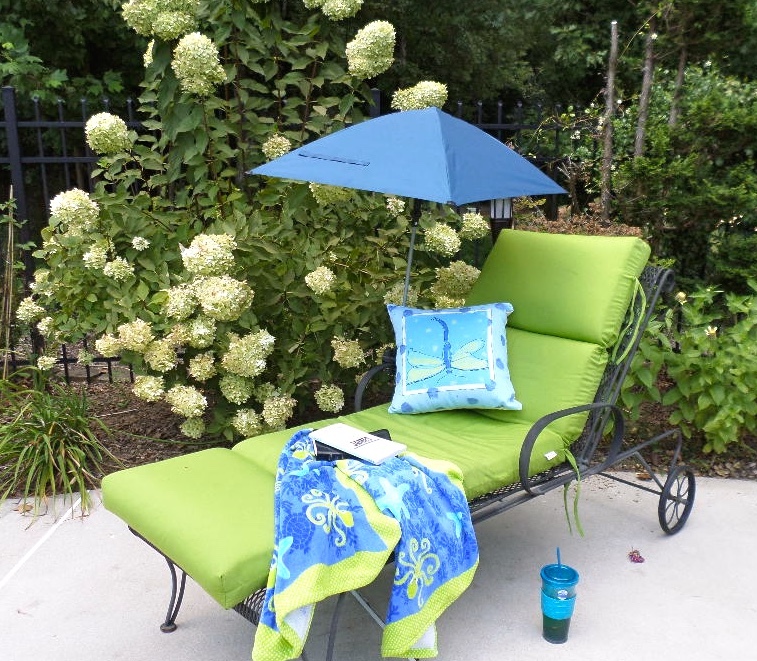 We love to have friends over and enjoy hosting pool parties, but we also love to quietly retreat to a shaded spot by the pool and enjoy a good book or magazine. The most comfortable spot is our outdoor chaise lounge. With new thick Sunbrella outdoor cushions for comfort and a small patio umbrella for shade, it's hard to get anything done inside the house. An outdoor or pool chaise lounge comes in several different materials. The most common are wrought iron, resin wicker, and wood. Depending on your style you can get classic or modern, contemporary looking ones. We purchased a wrought iron chaise lounge 12 years ago and surprisingly there is no sign of rust on it, even though we keep it out year round and do not cover it. Ideally all of your outdoor furniture should be made of the same material so that your outdoor space flows together. We have all wrought iron furniture while our neighbor has all resin wicker outdoor furniture. Check out how well or easily it reclines. Does it go completely flat. We like having wheels so that the pool chaise lounge can be moved to accommodate shade or sun or to make space for a pool party. This is one place where you don't want a thin, skimpy cushion. My new Sunbrella cushion is 4" thick and feels luxurious. 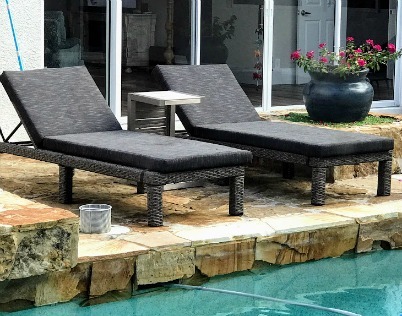 Get more tips and pictures to guide you in selecting an outdoor chaise lounge for your personal quiet retreat by the pool.